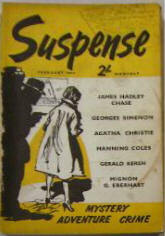 132 · Hide My Eyes [Part 2 of 2; Albert Campion] · Margery Allingham · sl Chatto & Windus 1958; abridged. 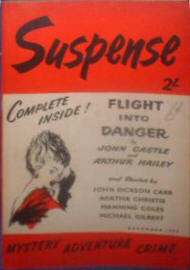 130 · Playback [Part 1 of 2; Philip Marlowe] · Raymond Chandler · n. Houghton Mifflin 1958; abridged. 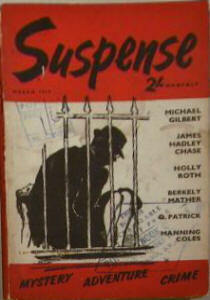 21 · Pit of Screams · Garnett Radcliffe · ss; possibly a reprint of The Pit of Punishment from Argosy Dec 3, 1938. 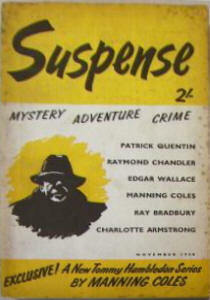 126 · Playback [Part 2 of 2; Philip Marlowe] · Raymond Chandler · n. Houghton Mifflin 1958; abridged. 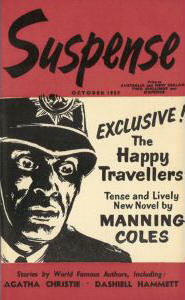 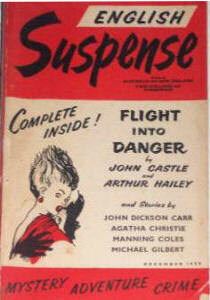 124 · Flight Into Danger · John Castle & Arthur Hailey · n. Souvenir Press 1958; condensed. 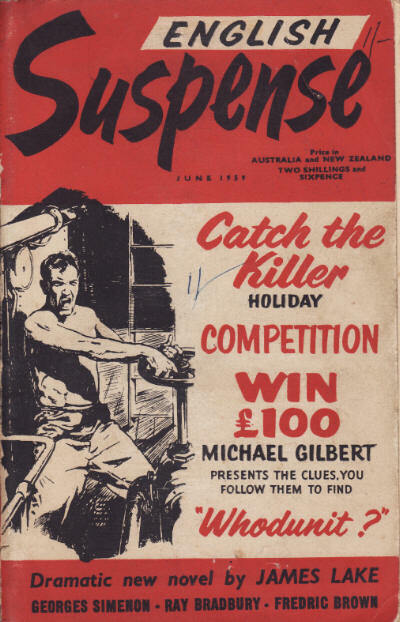 74 · Quarterdeck Club [Simon Templar (The Saint)] · Leslie Charteris · nv Ellery Queens Mystery Magazine Aug 1947; radio script adaptation. 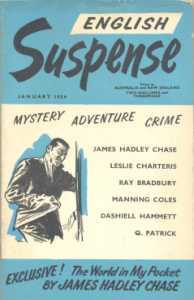 132 · World in My Pocket [Part 1 of 3] · James Hadley Chase · sl Robert Hale 1958; abridged. 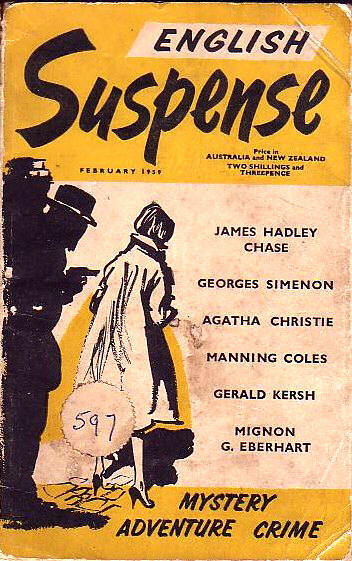 60 · Nouchi [Monsieur Froget] · Georges Simenon; translated by Anthony Boucher · ss Ellery Queens Mystery Magazine Dec 1948; translated from the French (Détective 10 & 24 Apr, 1930, as by Georges Sim). 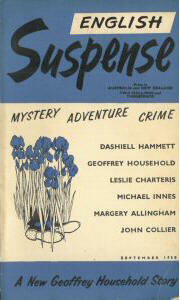 116 · World in My Pocket [Part 2 of 3] · James Hadley Chase · sl Robert Hale 1958; abridged. 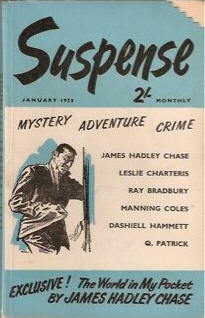 124 · World in My Pocket [Part 3 of 3] · James Hadley Chase · sl Robert Hale 1958; abridged. 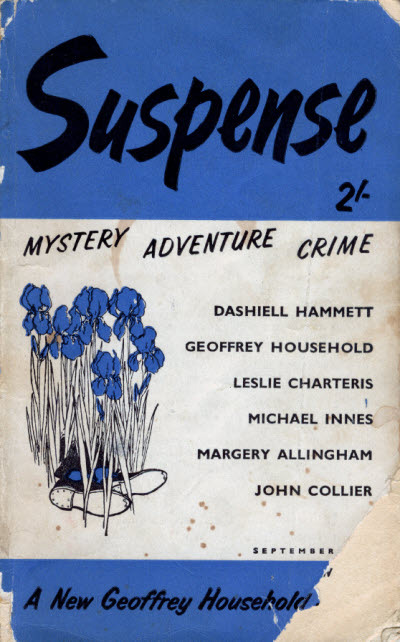 2 · The Little House at Croix-Rousse [Joseph Leborgne] · Georges Simenon; translated by Anthony Boucher · ss Ellery Queens Mystery Magazine Nov 1947; translated from the French (Le Pavillon de la Croix-Rousse, as by Georges Sim, Détective, May 2, 1929 & May 16, 1929). 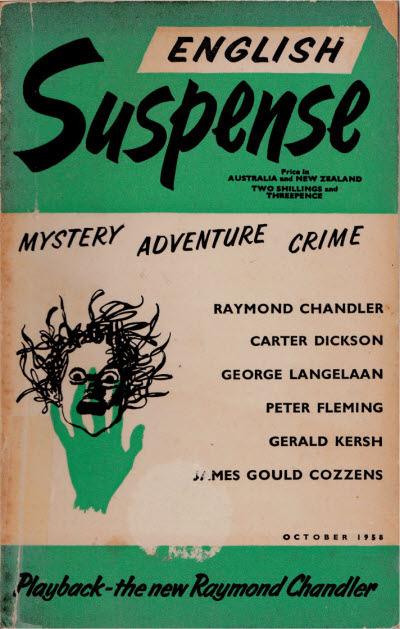 2 · The Three Rembrandts [Joseph Leborgne] · Georges Simenon; translated by Anthony Boucher · ss Ellery Queens Mystery Magazine Sep 1943; translated from the French (Les 13 Mystères, 1932). 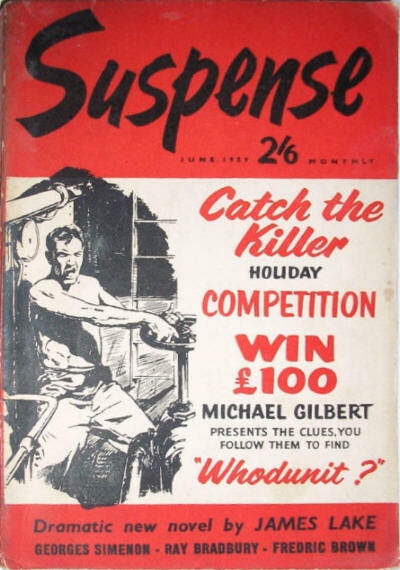 64 · The Craven Case [Superintendent Mahood] · Michael Gilbert · nv; contest story for readers to identify the murderer; the solution appeared in the October 1959 issue. 2 · Le Chateau de lArsenic [Dr. Jean Dollent] · Georges Simenon · ss The Strand Magazine Oct 1947; translated from the French (Le Petit Docteur, 1943). 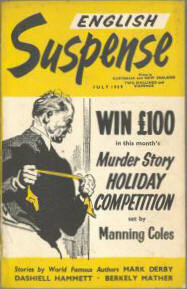 107 · Who Solved the Craven Case? 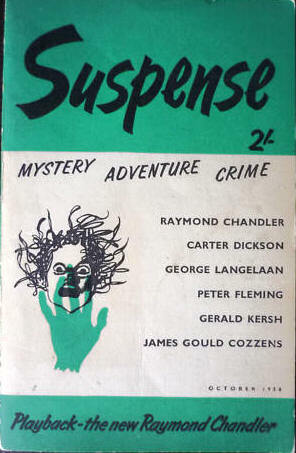 · Anon. 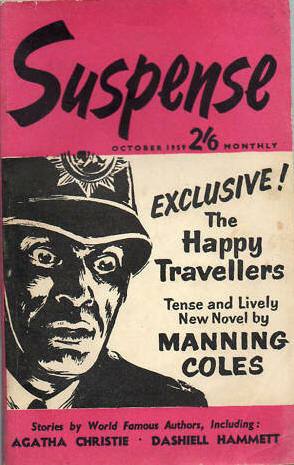 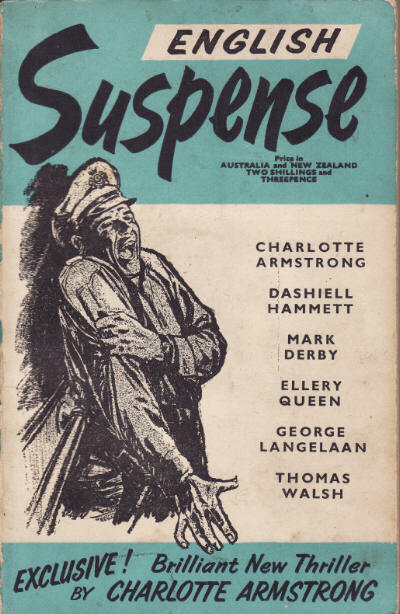 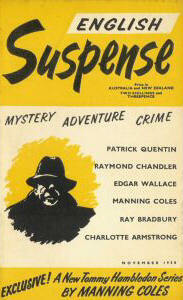 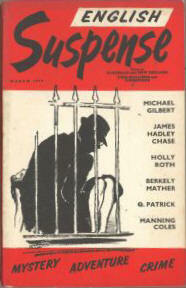 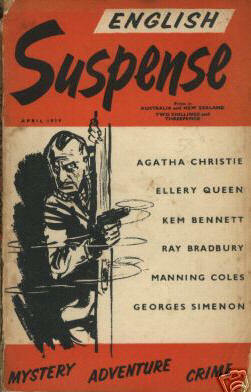 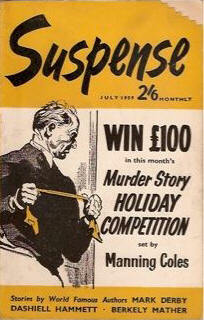 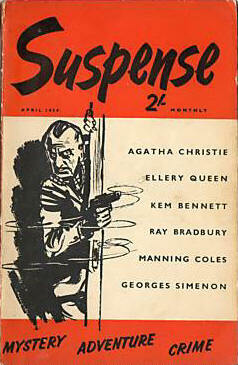 · ms; winners of competition from Suspense (UK), June 1959. 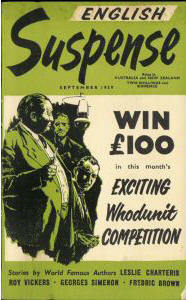 48 · Who Solved the Craven Case? 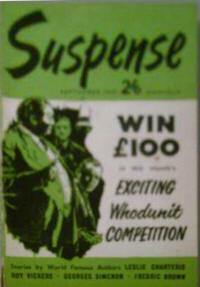 · T. R. C. Elmslie · pz; winners of competition, and solution to the puzzle from Suspense (UK), June 1959.